Somewhat strange, but a decent whiskey! With 52,00 € unfortunately too expensive! 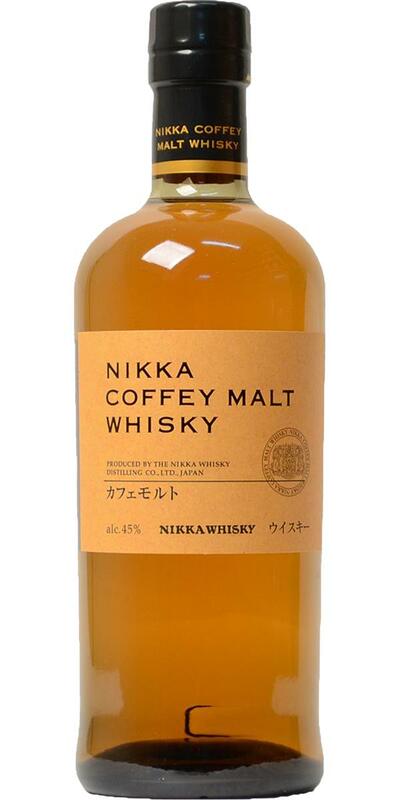 Jim Murray has awarded 96 points to the Nikka Coffey Malt. "Not quite the genius of the 12 year old. But still one of the most tactile and sensual whiskies on the world whisky stage today" Pure matter of taste... ISC Gold 2015 & 2017, WWA Silver 2017, Japanese Whisky of the Year - 2018 Whisky Bible. 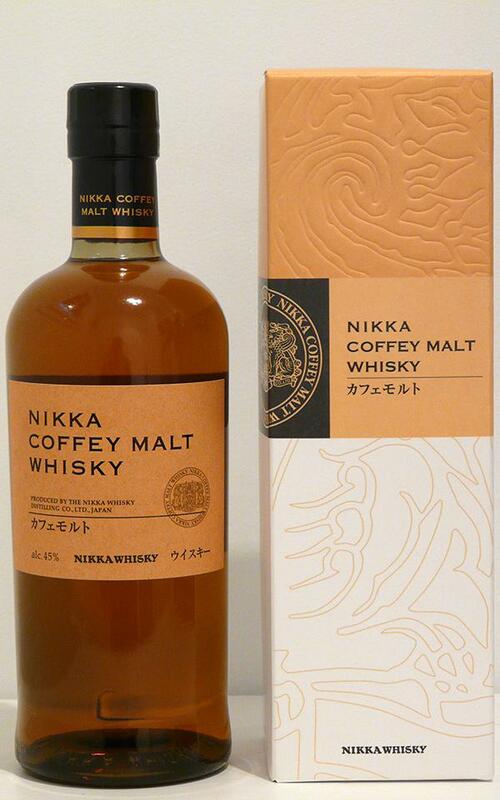 This series will be discontinued by Nikka in 2019! 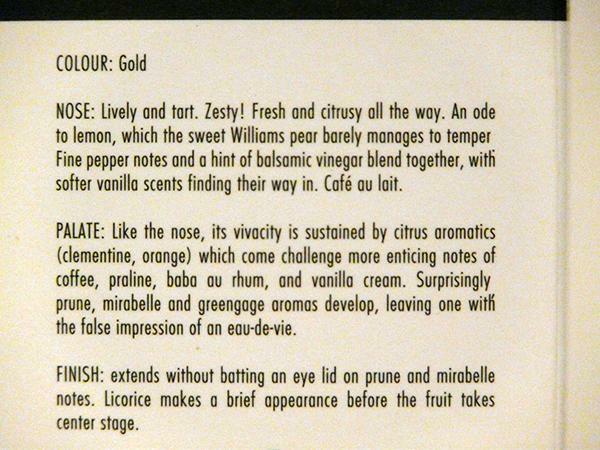 Nose: not as fruity fresh as the grain. Subtle oak, slightly dusty, licorice and light fruit in the background. Mouth: mild, soft, fruity, velvety, some wood. Finish: medium length, some wood, also some cardboard, slight fruit notes. Conclusion: that is how many German single malts taste. Somehow Malt and Coffey Still do not fit together so much, that seems a bit pointless. The grain was more expressive. Very interesting whisky, the nose is very nice and exotic. Easy-drinking, light, sweet. Reasonable pricing makes this bottle quite a good purchase. Oranges, apples and pears. Add chocolate and a touch of oak. Very round. Soft, creamy. Chocolate. The fruits are now very interwoven. Milk coffee in the dessert. 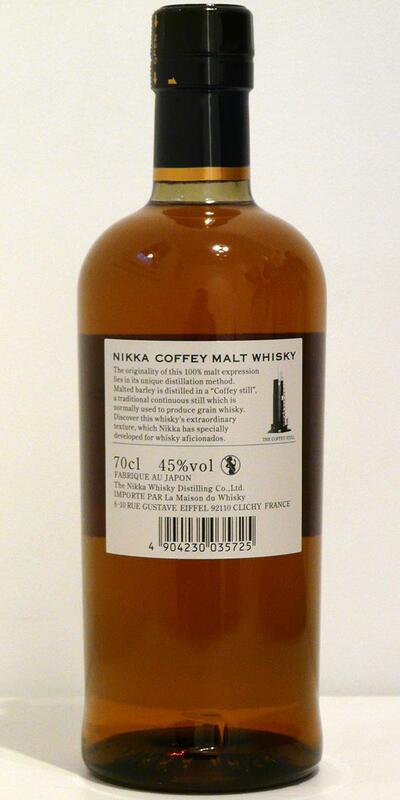 A very fruity, sweet whisky with delicious aromas that you can keep on smelling for minutes. I think this is too sweet for some, but I think it's delicious. My girlfriend, who loves rum more, too! First some glue. Then pear, a little lime and chocolate raisins. Soft milk chocolate, blood orange, ripe and deep sweet orange / yellow fruits (mango / peach), little speculaas spices. Long aftertaste. Caramel, liquorice, orange. The sweetness lingers for a long time.